Spring has finally arrived, it was a long winter, get out and enjoy the great weather. 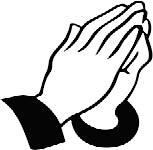 Our prayers and get well wishes continue for our sister Columbiettes and brother Knights who have been ill or are in recovery, Past President Rosemary Balkam, MaryAnn Rossi, Past President Cathy West, PGK Bob Powers, Sherry Banz, Nina Makowicz and MaryAnn Mattissich. Best wishes and prayers for their continued recovery. Our sincerest condolences and prayers to DGK Rich and Columbiette Secretary Dawn Santiago and family on the passing of Rich’s father and prayers and condolences to Eileen Miranda and sister Maureen on the passing of their father. Our sincerest sympathy on your loss. If you know of any Columbiette who is in need of a card or visit or if you have any good news to share, please contact me, Vivian McCourt, Columbiette Vice President at 631 588-2453 or email me at izmira1@ aol.com. Leave a message and I will get back to you. Stay happy and healthy and pray.